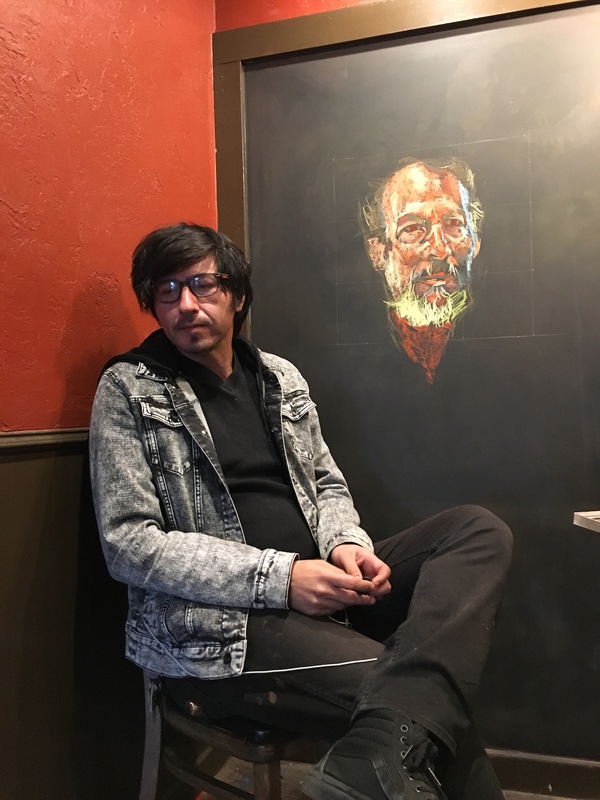 While at J&B Coffee yesterday, enjoying coffee with dear friends after a photoshoot (wherein I was the shootee), I noticed an artist working on a portrait. After coffee I asked for a portrait. He was reluctant, but finally agreed after I asked a couple of times.